Add SPACE and STORAGE in the shop at a LOW COST. 3000 lb. 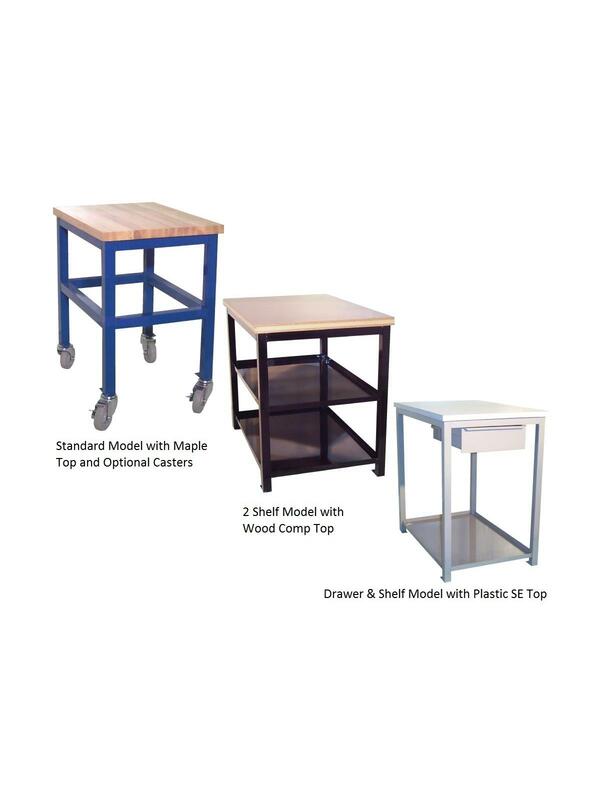 capacity shop stands feature heavy-duty welded frames of 1-1/2” 18 ga. tubular steel and a choice of industrial quality bench tops. Choose from 3 styles – Standard (HSS), 2 Shelf (HS2) or Drawer & Shelf (HSD) units. 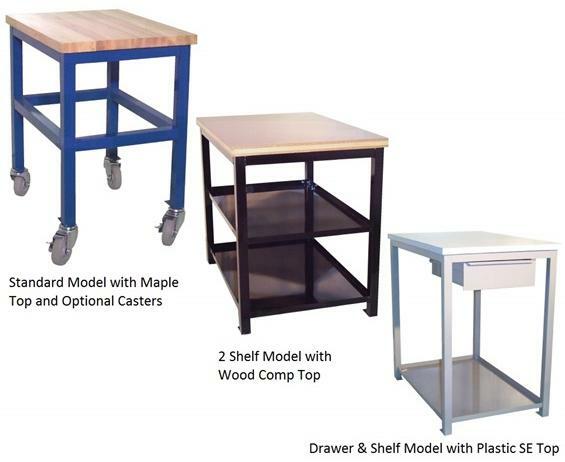 Each stand includes dual purpose floor pads that allow it to be secured permanently in place and inserts that will accept casters, sold separately. The following steel colors are available at no additional charge: Beige (BG), Black (BK), Blue (BL), Gray (GY), and Red (RD). Please specify the steel color desired in the comments section when placing your order. 1-1/4” thick top choices are Wood Comp, Plastic SE and Maple. Laminate options (Plastic-SE): Almond, Gray, Black and White. Shop stands are available in 2 sizes and 3 heights. Custom sizes are available – call for details. See Related Items tab for Shop Stand Casters. 24 x 36 x 36"24 36 36"